Guar gum is a water-soluble fibre that acts as a bulk forming laxative, and as such, it is claimed to be effective in promoting regular bowel movements and relieve constipation and chronic related functional bowel ailments, such as diverticulosis, Crohn's disease, colitis and irritable bowel syndrome, among others. The increased mass in the intestines stimulates the movement of waste and toxins from the system, which is particularly helpful for good colon health, because it speeds the removal of waste and bacteria from the bowel and colon. Guar can be eaten as a green bean, but is more important as the source of guar gum. 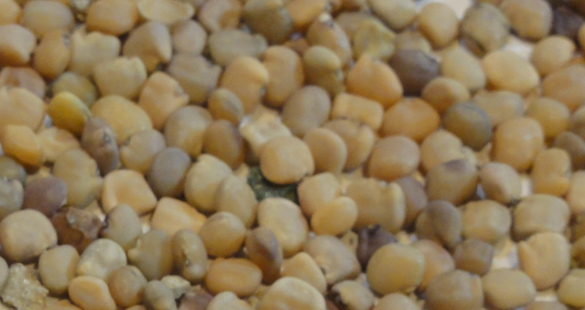 Guar beans have a large endosperm that contains galactomannan gum, a substance which forms a gel in water. This is commonly known as guar gum and is used in dairy products like ice cream and as a stabilizer in cheese and cold-meat processing. Another use is as a fibre supplement. After being partially hydrolyzed, guar gum is completely soluble in water and soft food. Being approximately 75% dietary fiber, it allows fibre to be added to a food with a minimal effect on taste and texture.